​It hasn't been smooth sailing for Manchester United since Sir Alex Ferguson's departure in 2013. Managers with a wealth of experience and success at other clubs have tried and failed at returning the club to its former glory. Now heading into the remainder of the 2018/19 season under caretaker manager Ole Gunnar Solskjær, the majority of United's squad from 2013 has naturally been replaced. Despite this, some players still remain from Ferguson's era, and that could prevent United from fully transitioning into a successful side domestically and in Europe. José Mourinho made no secret of his ambition to bring a centre-back to ​United in the summer, prior to his departure from the club. While he did bring in ​Eric Bailly and Victor Lindelöf for big transfer fees, they aren't the finished article and need time to improve and reach their peak. It has been all the more difficult for the two players due to the lack of a true experienced leader in United's back four to guide them through. ​Phil Jones is a player that was brought in to the club in the later years of Ferguson's legendary career at United, but the 26-year-old hasn't reached the heights that many expected of him when he arrived at the age of 19 in 2011. 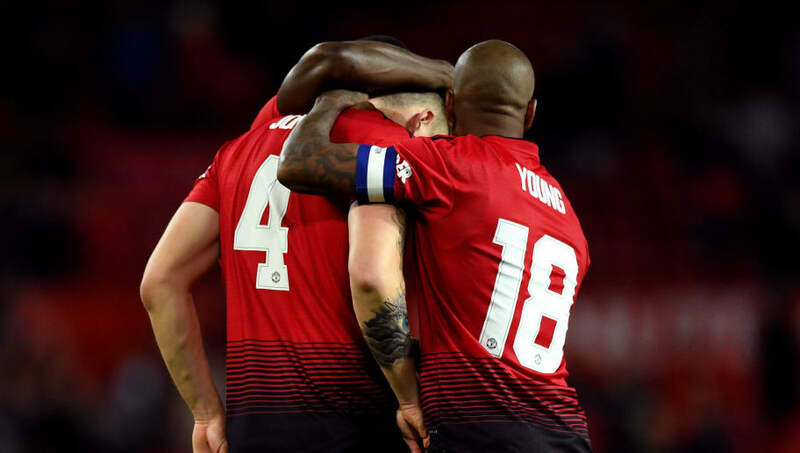 With his contract expiring in the summer, Jones hasn't shown that he is the type of figure to bring younger and less experienced centre-backs through at a club of the stature of United. And his recent form hasn't hinted that he can improve as a defender himself, if he is to remain at Old Trafford beyond this season. Ashley Young is another player whose contract expires in the summer. Young has been a fantastic servant to the club and was a top performer as a winger in his earlier days, and he made a successful transition into a hard-working full-back over the past five years. However, Young is now 33 years old, and his best days as a player seem to be behind him. The fact that a winger that was signed in 2011 is now appearing regularly as a full-back says a lot about the lack of progression or success in terms of United's defensive recruitment. This is anything but a criticism of Young - there is competition for places at the club and signings have been made in the form of Matteo Darmian, Luke Shaw, Daley Blind and Marcos Rojo, but Young has continued to impress and show his commitment to each manager he has played for to earn his place. Last season, Young made 30 Premier League appearances, which is the most he has made in a single season since arriving at Old Trafford. He has gone on to regularly captain the side in the absence of club captain Antonio Valencia. Waiting in the wings is Diogo Dalot - a somewhat inexperienced 19-year-old that Mourinho had considerable faith in to be a success at Manchester United for years to come, even suggesting the Portuguese right-back could nail down the position at Old Trafford for the next ten years. The direction United should look to go in is clear. The Red Devils are looking to return to their roots as a competitive side in the Premier League and Champions League, and their defensive weakness was highlighted earlier in this season under Mourinho with some humiliating defeats to lesser sides. It is crucial that United sign players in the summer, and it would be wise to focus on recruitment at the back, especially due to the attacking talent United already have at the club. The likes of ​Anthony Martial, ​Marcus Rashford, ​Jesse Lingard and ​Paul Pogba are flourishing under Solskjær, showing that United are reasonably strong going forward. Paul Pogba has scored more league goals this season than any other in his career. While remaining appreciative of their service to United, replacing the likes of Jones and Young would be a step in the right direction for the club, contributing to a transition that needs to be completed in terms of bringing through youth and potential at the back. The back four of Dalot, Lindelöf, Bailly and Shaw has the potential to be the defensive backbone for many years to come, but as Mourinho hoped for in the summer, an experienced leader at the heart of the defence could be just the thing that Manchester United need to progress to the next level.